How would you like to win The Hidden Life: An Amish Quilt novel? I am very happy to have Adina Senft here today for an interview and she is giving you all a chance to win a copy! One lucky reader will win this book from Adina and all you have to do is leave a comment at the end of the interview. Enjoy and good luck to all! Contest starts today June, 20 and the winner will be announced Monday June, 25. Why don’t we start by you telling us a little about yourself? I grew up on the West Coast of Canada in a plain church—not Amish, but I was often asked if I was. I learned to sew when I was five, and by the time I was a teenager, was making my own clothes because what was in the stores wasn’t suitable for church. I knew I was a writer when I was 8, but this didn’t really cause a problem until I was in my thirties and realized how much the church would frown on me being published. If I were writing children’s books or nature books, that would be fine, but I wanted to write romance—horrors! Between that and several other factors, I left the church and continued my education, eventually earning an MFA in writing popular fiction. My first full-length sale was my master’s thesis! Emma Stolzfus has never been courted or kissed, and now that she’s 30, it has become her place as the unmarried daughter to look after her elderly mother. But in the dark hours when her mother is asleep, Emma writes letters and essays to Amish periodicals, short stories, and even a novel she’s been working on for the last five years. When a New York literary agent, Tyler West, takes an interest in her work, Emma secretly goes to meet him. When she returns, something about her is different—and the men of her Amish community take notice. But how can she settle for second best when her heart made its choice years ago—to a man she can never have? Only her friends, Amelia and Carrie, know the truth in her heart as they work together on their quilt … and only they understand when an old tragedy comes to light that will either hurt or heal … and reveal Emma’s hidden life. I am very excited for The Hidden Life because Emma was my favorite character from The Wounded Heart. Is there a particular character you could say is your favorite? I have to agree with you—Emma is my favorite, too. Her heartache is that she is unmarried in a culture where a woman’s purpose is to have a family and manage a home. I grew up in that kind of culture. There just isn’t a place for single women of a certain age—they feel silly at young people’s meetings, and they feel inadequate and lonely among the marrieds. Plus, Emma is a writer, which is frowned upon because Amish women don’t have a public voice. Since I shared many of her struggles, I really relate to her. One little side note—see that typewriter on the cover? It’s mine! It’s a 1977 Smith-Corona and I wrote it into the story for Emma, little dreaming that my publisher would ask me to send it to the studio for the cover shoot! Are you reading any books right now? Do you read other Amish fiction authors? I do—from Beth Wiseman and Linda Byler (the real-life Old Order Amish author who inspired Emma’s character) to mysteries by P.L. Gaus and gritty thrillers by Linda Castillo. On my own TBR pile right now is a real mix of books—a nonfiction book about the Hindenburg airship, Suzanne Collins’s Catching Fire, You Can Draw in 30 Days (I’m on Day 4! ), and Seasons by Elizabeth Byler Younts … I’m a pretty eclectic reader. What is one thing about you that readers would be surprised to learn? I rescue chickens. You wouldn’t think that here in Silicon Valley there would be many to rescue, but there are. I have 13 at the moment, all voice trained, all affectionate and rewarding companions. Chickens are smart and have all the basic emotions we do—love, jealousy, anger, curiosity. They make wonderful pets, and the eggs are a bonus. 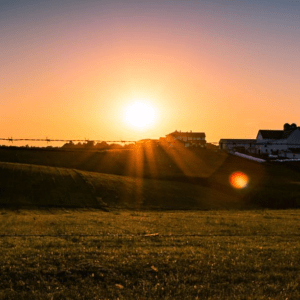 Have you ever visited an Amish community to do research for your books? In the third grade I wrote a composition about a ghost in a graveyard, and my teacher (very kindly) told me it scared her. I realized that you could affect people’s emotions and perceptions through words, and I was off and running. I recently located that teacher on Facebook and thanked her for being the spark that ignited my writing career. Then, I wrote my first complete novel at 13—on yellow paper with white gobs of correction fluid! The teen years were miserable for me—the only plain girl in public junior high and high schools—so I spent more time in my fictional world than I did in the real one. I even sent it away to a publisher, who returned it with embarrassing speed. However, he did say that I knew how to tell a story, so that kept me going through the next 20 or so years until I was published. What’s your favorite thing about being an author? Creating worlds to have adventures in—and inviting people to come in and share them with me. Do you have anything else that you would like to share? Emma has a talent for finding “little gifts” from God in her day. I hope her book will encourage readers to remember that God has a plan for every life, and He sprinkles little gifts along the way to help us and bring us joy, even in the dark moments. I’m just finishing up Carrie’s book, The Tempted Soul, which is the third book in the trilogy. This one is about a childless woman whose only wish is to be a mother, and who is told repeatedly—even by her husband—that her condition is the will of God and she must accept it. Her greatest temptation is Englisch fertility technology … which the Amish church forbids. It will be out in March 2013. Thanks so much! It’s been fun talking with you! You can find me on the web at http://www.adinasenft.com, and there’s a link there to my blog, The City Girl’s Guide to Plain Living. I luv reading your interview.Best of luck.The book sounds great. I loved the interview and would love to win the book – sounds so interesting!!!!!!! What a wonderful author!!!!!!! sounds real interesting i can’t wait to read. Sounds like we like the same kinds of books! So I’m sure that I will like yours, looking forward to it. Whether I win or not, this book is now on the “I want to read list” I will be looking for The Hidden Life. Thanks for this gr3eat interview. Thank you so much for the interview, it was so nice & very interesting with such a beautiful cover photo. I read The Wounded Heart and loved it, I’m so glad you’re telling Emma’s story now. I can hardly wait to read The Hidden Life, I’m sure there are a a lot of Amish with hidden lives as there are Englishers. This was a nice interview. Thank you for the chance to win this book. I liked reading your interview. The book sounds very interesting. Love reading anything about the Amish. Hope this one makes big big sales for you. A nice interview and I hope that I win your book. Sharma Darby. What an interesting interview! I can’t wait to read the book!!!!! I would love to win a copy of this book!!! Thank you for the chance! Thanks, everyone! I’m traveling in Pennsylvania right now, researching and taking lots of pictures of farms that might eventually find their way into a book 🙂 This is such beautiful country! I envy you! LOL Went last summer though so I know the beauty! Great interview! I would love to win this book! Thank you, Michelle and Adina Senft for this giveaway! I loved your interview! Rescue chickens! I have never heard of that. Like you said there is a bonus involved, eggs! I would love to win a copy of “The Hidden Life.” Thanks for this giveaway! Can’t wait to read your books! Nice interview. Would love to win this book. It’s on my wish list and I’m adding “The Tempted Soul” to the list. Would love to win this book! I really enjoyed the interview. Your story sounds very interesting. I know how she felt being alone in a world of couples. I look forward to reading your book. What a wonderful interview. 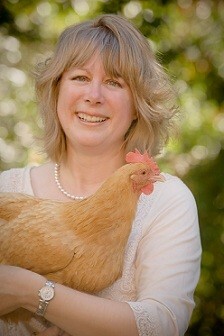 I love how she rescues Chickens, what a great think to do. This book sounds wonderful and I would love to win and have a chance to read it. Will be adding her to my author list. Loved reading your interview. Looking forward to reading your books. I loved reading your interview and the book sounds very interesting. I would love to win this!!!! I also like chickens and we had them on the farm when I was growing up!! I would love to have some again!!! Thank you for the chance to win!!!!! Awesome interview!!! Cant wait to read the book! 🙂 Thank you for this giveaway opportunity! I love to read and looking for new authors! This interview was great and look forward to reading and hopefully winning this book! A very nice interview! The book sounds great! Great interview. Would love to win the book. I had a pair of banty chickens when I was about 11 for 4H. I named them Baby and Roostie. I carried the hen around to the chagrin of the rooster! She loved to be petted and would close her second eye lid. That always fascinated me. I don’t think I ever got around to taking them to 4H. Your delightful book is coming out on my birthday! I loved the interview, like learning different things about Authors. Would love to win this book sounds really good. Thanks for contest! Loved the interview. Would love a chance to win this book. Thank you. I’m New at fb, and I’m learning everyday. I love the Amish books so much. I have been sick most of my life, I’ve had over 30 operations and in 2006 was the worst.I was taken to the hospital and had emerancy surgery for dead bowel. ( almost all of my colon was removed in 2000 because I had a lot of polls. I had 4 operations in 11 months) ( 1 pomp was cancer, it was contained, no radation, no chemo, but a lot of polls and they were growing more so after four surgeries I only had 10 cm of colon left. It was okay because I had my small intestants to carry waste.). Dec 22 nd the 1 st surgery six inches of small intestines died, I was in ICU and on Dec 31 I cashed, back to surgery k.ow one knew why. Here 6more feet died and I eked up with a ileostomy bag, back to ICU 5 more weeks. God had something for me to do. At least I was alive. What a mess I was in , my husband spotted Amish books at Pokies and purchased them, Sisters of Holms county. They kept me with the reminders of the bible verses, some just suited me. I was hooked. In2008 I had to have iv fluids everyday because as fast as I ate or drank everything even my meds went through the bag. Hooked up to an iv, I needed something to keep my mind off of chronic pain, the Amish stories did the trick, I couldn’t read fast enough, their belives were the same . Everything that happened was Gods plan, like it or not , I found it easier to coupe with everything, you don’t complain, the authors of my precious books made me laugh, cry, happy , sad. My problems were minor. The way the community would come together to help out, I wished I had help, just my wonderful husband and my precious daughter were there for me along with my Amish friends ( books). Then on Dec. 8 th 2008 I broke both my feet. For one and a half years iwas in casts , know one helped yet I lost myself in the books ,if I was Amish I would have family and friends to help without asking , cooking, cleaning, washing clothes, how the Amish books helped my days and nights, the wonderful story lines , the quotes from the bible, I was and still am in pain almost every day but read how lucky I am to have God take over my life, your books sound great and now I have another amish author to follow and there probably are a lot more I don’t know. The recent books I have to get at the library because I can’t afford the full price but sooner or latter I’ll get my books . Even without modern conveniences there problems are the same. Sorry this is so long but I want every Amish writer to know their work is not in vain. Keep the stories going ,I plan to live a long time know matter what I have to face because Jesus is my Savior. I have always wanted to visit the Amish. Hopefully by winning your book, one of my dreams could come true. The word polp was spelled wrong, not polls or anything else. I was going to fast and didn’t check my spelling. This book sounds awesome, I would love to win it! Enjoyed the interview also! I read the first book “The Wounded Heart” and loved it. 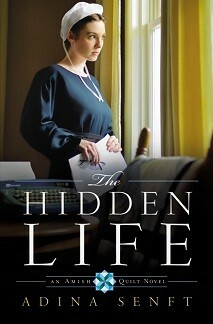 Would love to win and read “The Hidden Life”. Thank you for the giveaway. Hope I’m not late for the giveaway. I love reading Amish books. Would love to win this one. Thanks for participating, everyone, and congratulations to our winner! I just got home from my travels (much to the joy of the chickens, who realized I had not been eaten by a coyote after all), so will put the book in the mail. Blessings to all! Thank you so much for stopping by and letting us get to know you better!